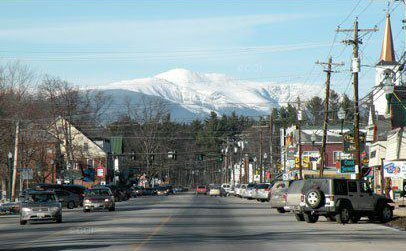 North Conway Village is in the heart of Mt. Washington Valley in the beautiful White Mountains of New Hampshire, and is home to nearly one hundred stores, fine art galleries, boutiques, and spa services. You can shop for clothing, artwork, outdoor and ski and mountaineering equipment, NH-made gifts and crafts, and gourmet gadgets. You’ll also enjoy great North Conway hospitality at restaurants and pubs, and lodging at a few dozen hotels and bed and breakfasts right in the surrounding North Conway Village. Be sure to check out NorthConwayCoupons.com for coupon savings on lodging, shopping, food, and attractions. There’s alpine skiing at Attitash, Cranmore, Black, Wildcat, Bretton Woods, King Pine, Loon, Shawnee Peak, and Sunday River ski areas, cross-country skiing right in North Conway Village at the Mt. Washington Valley Ski & Snowshoeing Center. There’s also hiking on NH’s White Mountain trails right from the Village or hundreds of AMC and National Forest Service trailheads just minutes away. Around every bend you will find either the Saco River or the Swift River beckoning you to jump in for a refreshing dip or paddle. There’s great factory outlet shopping in the North Conway, NH, area at stores like International Mountain Equipment – IME, LL Bean, J Crew, Beggar’s Pouch Leather, Lindt Chocolates, Waterford Crystal, GAP, and other Settlers’ Green outlets. Or visit attractions right in the Village like the Conway Scenic Railroad. North Conway is an easy drive to Portland, Maine, Manchester, NH, and Boston, Massachusetts. Our 4-season, Mt. Washington Valley Calendar of Events will keep you coming back. We were recently awarded by TripAdvisor as being 3rd on their list of 10 Best Leaf Peeping towns in New England! National Geographic Magazine voted us in the top 25 best ski towns in the WORLD! TripAdvisor voted North Conway, NH, as the #1 most affordable Ski Town in the Northeast, and #2 in the entire country. Pretty cool, huh? Check us out at hospitalitymaps.com too.